The course is composed of two weeks of intensive legal and business English tuition, plus a 1-week TOLES exam preparation course. 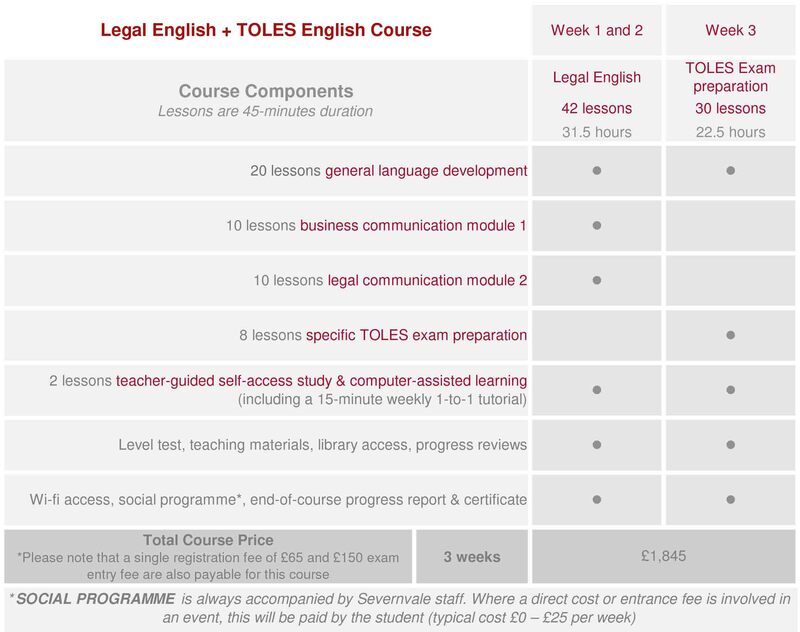 The TOLES examination provides attendees with a tangible and recognised record of progression to present to employers at the end of the course. The course is designed to stretch motivated and aspirational individuals currently working or studying to work in the legal profession and is structured to maximise use of the time available. The TOLES exam is scheduled for the last Thursday of each course. Legal Communication Module 2 is 10 x group lessons per week providing specific focus on a wide range of practice areas including, Contract, Corporate and Commercial, Banking, Litigation, Property, Competition, IP, Employment. Business Communication Module 1 focuses on essential business functions including: 10 x group lessons on formal and informal writing; telephoning; reading business documents and numerical information; language of meetings; dealing with native English speakers; travel; business culture; diplomacy and entertaining. Caroline qualified and practised with international law firm Norton Rose Fulbright, spending time in London and Brussels. After 4 years in practice she turned to a career of teaching at BPP University, one of the UK’s leading legal professional education providers, providing exclusive legal training and tuition for trainees of over 30 law firms. At BPP, she taught students in business, commercial law, employment law, legal drafting, tax and business accounts, negotiation and interviewing and advising skills. 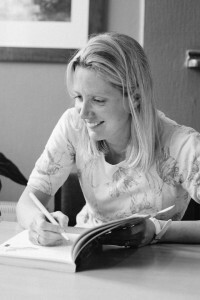 After BPP she qualified in English language teaching and subsequently took on the role of Principal at Severnvale.